I just received an email asking me to sing a petition and I wanted to share it here. I have today witnessed the skills of the fire brigade. 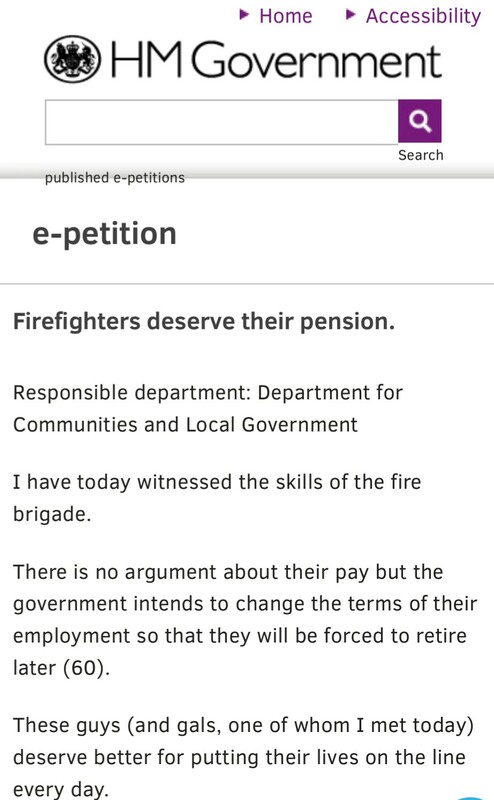 There is no argument about their pay but the government intends to change the terms of their employment so that they will be forced to retire later (60). These guys (and gals, one of whom I met today) deserve better for putting their lives on the line every day. Please support them by signing this petition and get the government to honour their original agreement. Next time it could be your house.